The U-factor, or U-Value, of a window assembly is a nationally recognized rating method to indicate the rate of heat loss. A low U-factor indicates that a window has good insulating properties and has good resistance to heat flow. The lower the better. The National Fenestration Rating Council (NFRC) accords a U-factor rating to the whole window, which includes that frame, glazing and spacers. There is the center-of-glass U-factor, which more specifically indicates the performance of the glazing. 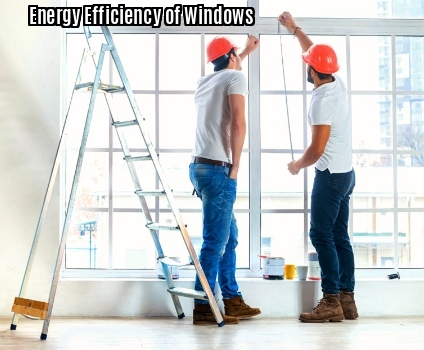 The Energy Star Program of The U.S. Department of Energy and the Environmental Protection Agency, evaluate energy efficiency of windows by considering the U-factor as one of the criterion. The U-factor helps determine how the individual components of the building work together and in relation to each other. This helps in objective evaluations and setting standards. When selecting your windows, pay close attention to its U-factor ratings. In climates like Chicago, double-pane windows with a U-factor of 0.30 or lower are considered to be highly energy efficient. You can go one step better with triple-pane windows, which could have a U-factor that is lower than 0.15.